If you love a good book, you are in the right place. If you love a great giveaway, read how you can win not only the book but a Kate Spade bag and more! 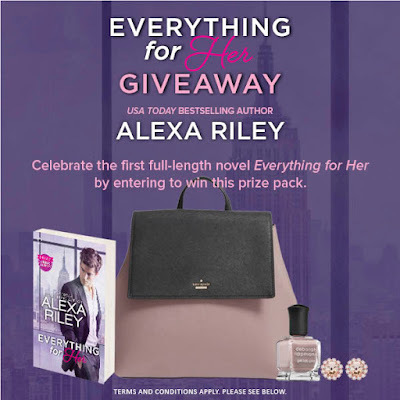 Imperfect Women is excited to be hosting this Everything for Her Giveaway to celebrate the launch of author Alexa Riley's latest novel, Everything for Her. I'll never forget the way she looked, so confident and sure of herself. I watched her from a distance. She wasn't ready for me yet. I didn't approach her and I didn't disturb her, but I never once took my eyes off her. Mallory Sullivan is ready to start her new life. After graduating at the top of her class, she's landed one of the most coveted internships in the United States. Hard work and determination have gotten her to this moment of living the life she only dreamed of growing up in foster care. From the start, I knew that she would be my greatest achievement, so the day I let her go, I set down a path for her. A path to me. She never expected Oz to be the greatest culmination of those dreams. But sometimes fate determines who you fall in love with. Who makes you lose control. Who owns your soul. And then you realize it wasn't fate at all… I've wanted to care for and protect her since the first moment I saw her. I've constructed everything in our lives so that at the perfect moment, I could have her, could give her the life she deserves. The time has come. About the Author: Alexa Riley is two sassy friends who got together and wrote some dirty books. They are both married moms of two who love football, donuts, and obsessed book heroes. They specialize in insta-love, over-the-top, sweet, and cheesy love stories that don’t take all year to read. 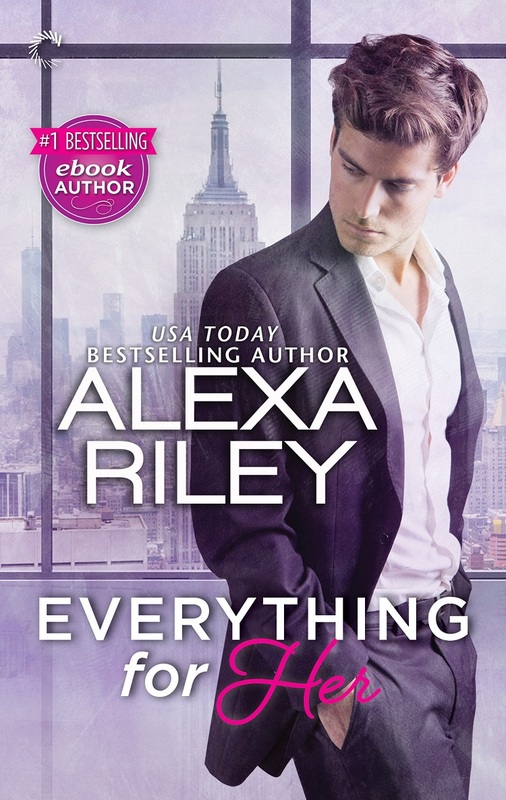 If you want something SAFE, short, and always with a happily ever after, then Alexa Riley is for you! Now for this awesome Giveaway! Enter to win this amazing #EverythingforHer Giveaway package with an ARV $560! Open to residents in the US and Canada (excluding Quebec). Must be 18 years and over. Ends 11:59 pm EST on December 15, 2016.
a Rafflecopter giveaway Disclosure: Imperfect Women and the participating bloggers were not compensated for this post. We are not associated with any of the companies named above. No purchase is necessary to enter. The odds of winning are based on the number of entries received. Harlequin is responsible for prize fulfillment and product shipment to winner(s) of this giveaway. This event is in no way administered, sponsored, or endorsed by, or associated with, Facebook and/or Twitter, Google, Pinterest. This disclosure is done in accordance with the Federal Trade Commission 10 CFR, Part 255 Guides Concerning the Use of Endorsements. Entrants must only enter with either one email address, IP address and/or Facebook account, anyone found violating these rules will be disqualified. It is at the sole discretion of the admin of the giveaway if the winner has met the rules or not. Open to US & Canada (excluding Quebec) only and must be 18 or older to enter. I like to read curled up on the sofa--it's comfy and there's plenty of light. I love reading on long airplane flights and I love reading in bed because it makes me so relaxed. I enjoy reading the most on my bed with my pillows arranged in my reading position. It is total enjoyment. I like to read at night by the fireplace with some hot chocolate. I love reading in bed with lots of blankets and my kitty laying on me. My favorite place to read is the bathtub.. It's the only place I'm left alone.